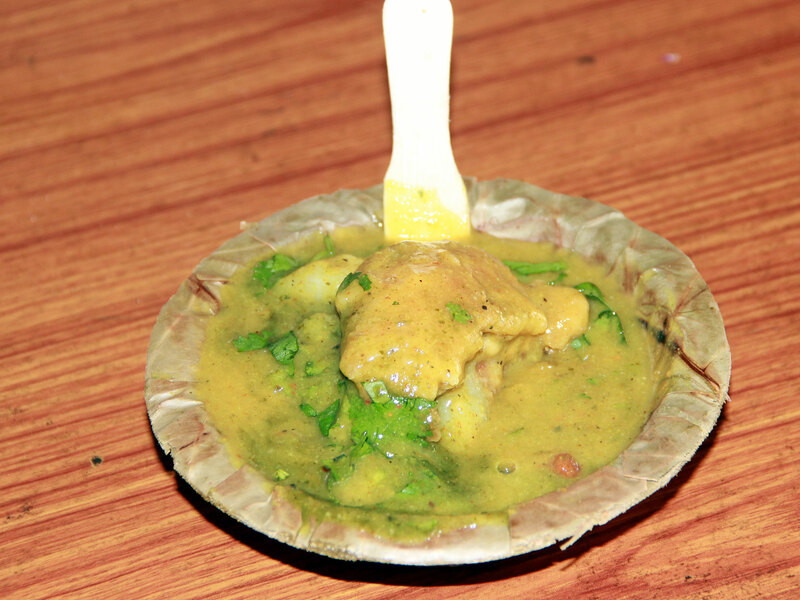 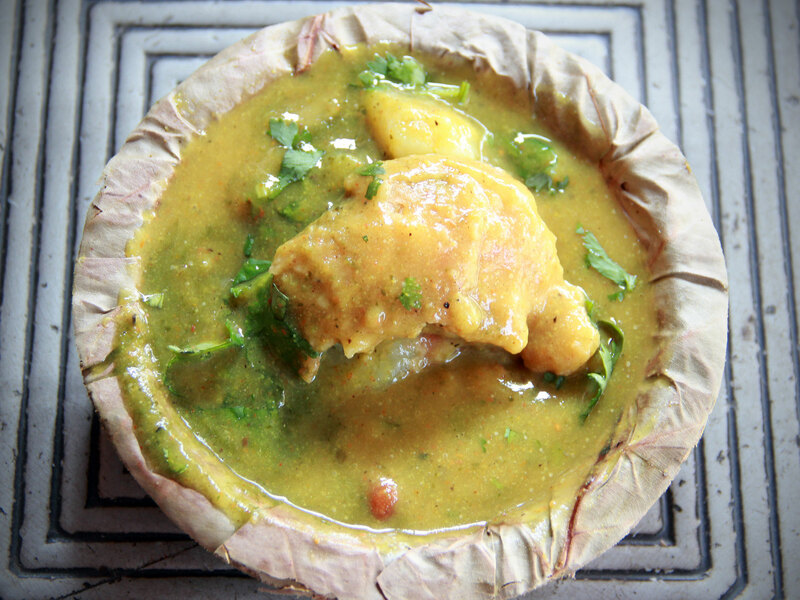 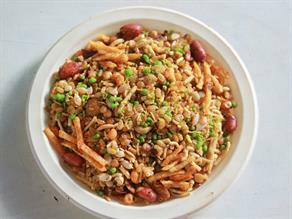 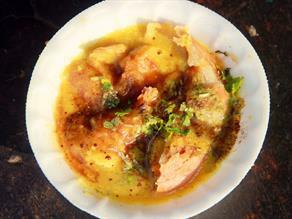 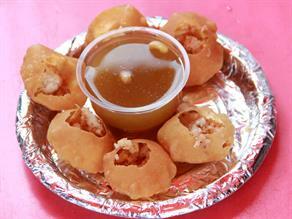 The hint of asfoetida (Heeng) lends a unique taste to the spicy Daal Kachauri at Rampal Chaat Bhandar. 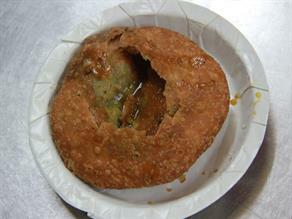 This spicy deep-fried Daal Kachauri made from dough of all purpose wheat flour (Maida) stuffed with the baked spicy filling of the lentils- black gram (Urad daal), washed black-eyed beans and gram flour (Besan) seasoned with normal spices, like- salt red chili powder, turmeric, coarse black pepper, whole coriander seeds, asafoetida (Heeng), fennel seeds (Saunf) etc. 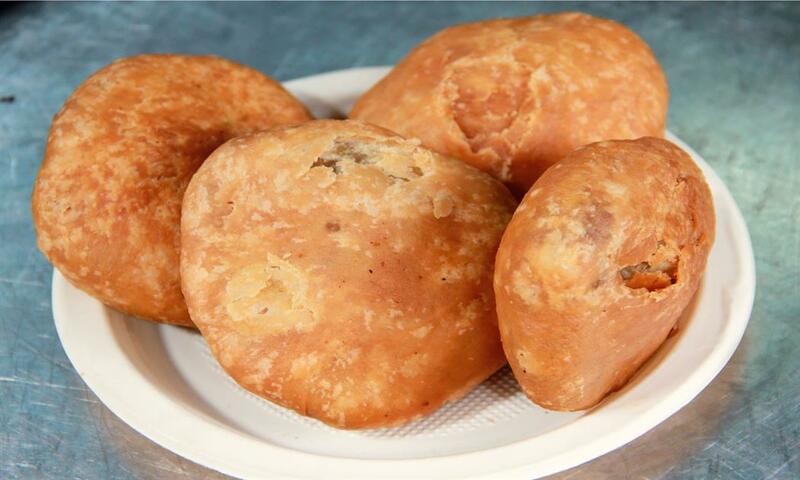 is a delicious snack. 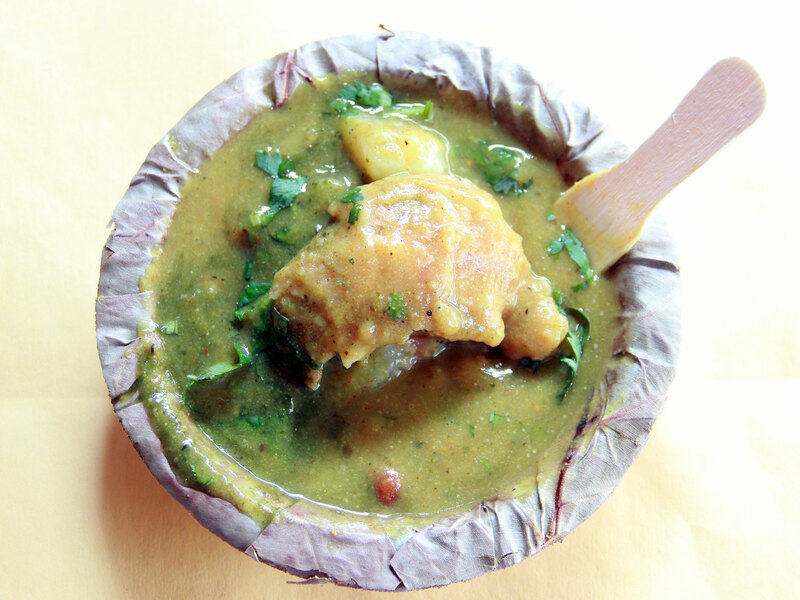 Besides being served with hot Kadi (spice curry of Besan flour and curd), it can also be relished with the green chutney made from mint (Pudina), dried mango powder (Amchoor), finely cut green chili and salt and sweet chutney prepared using tamarind and jaggery. 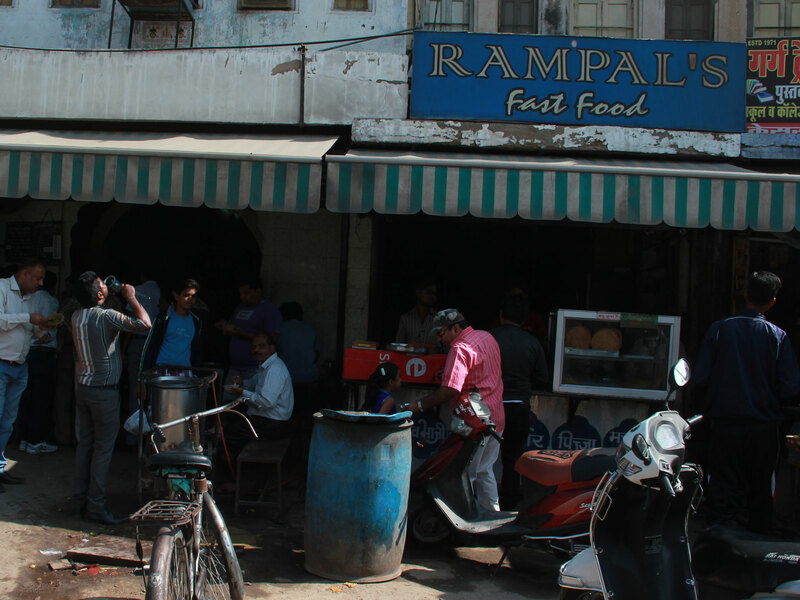 The taste is available from 07:00 a.m. to 03:00 p.m.
More than eight decades old, the Rampal Chaat Bhandar is a famous joint to serve various food items including Chaats and other varieties of Kachauri. 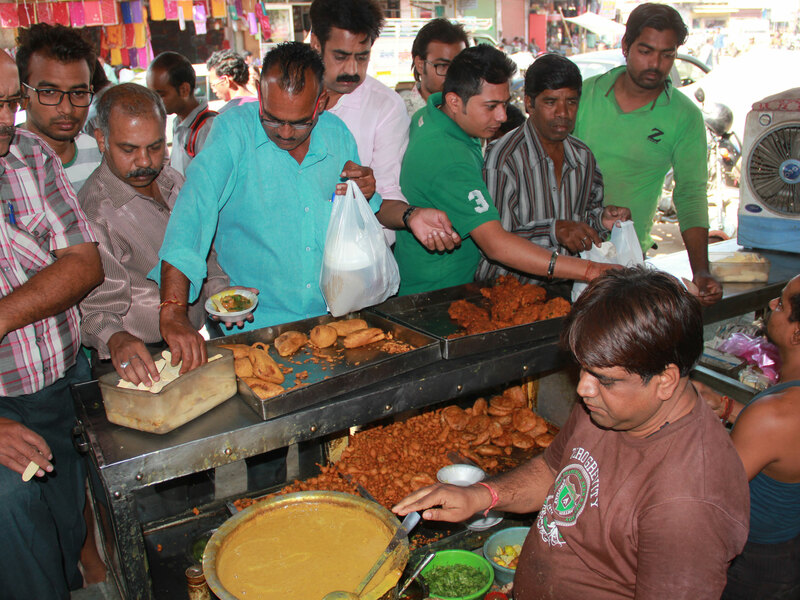 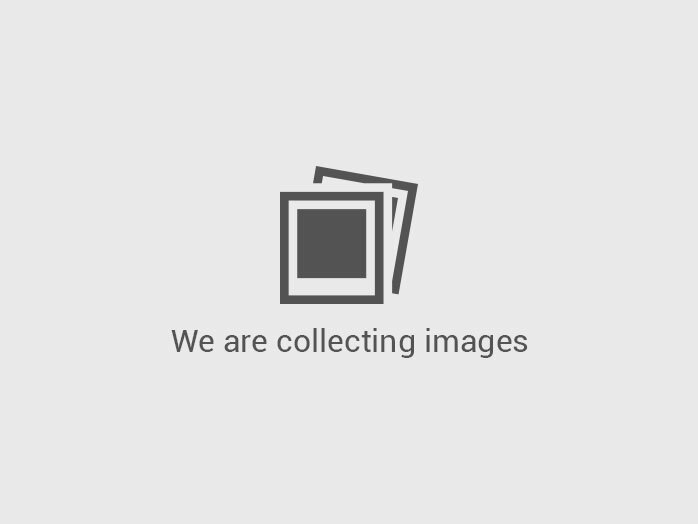 This joint offers fast service as well clean environment. 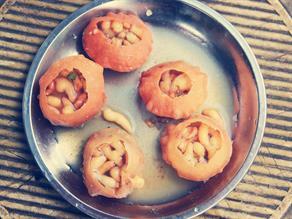 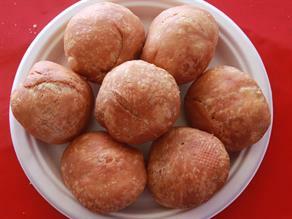 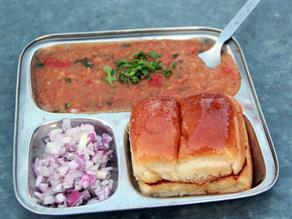 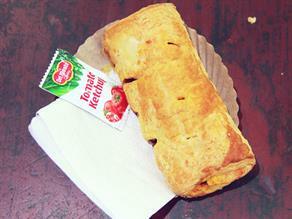 Daal Kachauris can be relished here at the standing tables placed outside the shop.